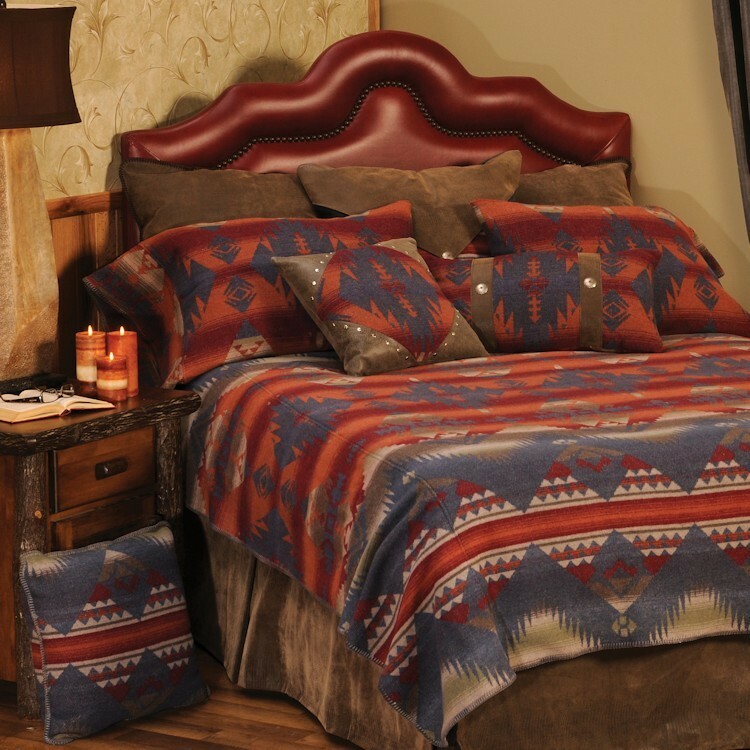 The colorful Socorro Western Bedding reflects the beauty of the southwest with a bold geometric Native American inspired design in warm desert colors of soft greens, denim blues, rust orange with touches of red and brown. This western style bedding ensemble features a blanket cover with button stitch edging, pillow case style pillow shams made of the same fabric as the blanket cover and a faux Alligator leather tailored bedskirt. 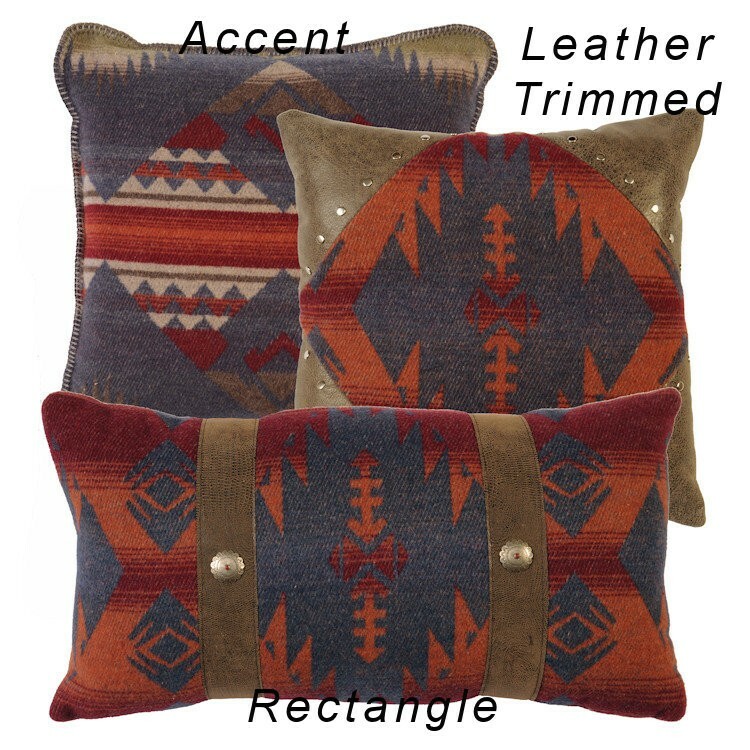 The colorful Socorro Western Bedding reflects the beauty of the southwest with a bold geometric Native American inspired design in warm desert colors of soft greens, denim blues, rust orange with touches of red and brown. 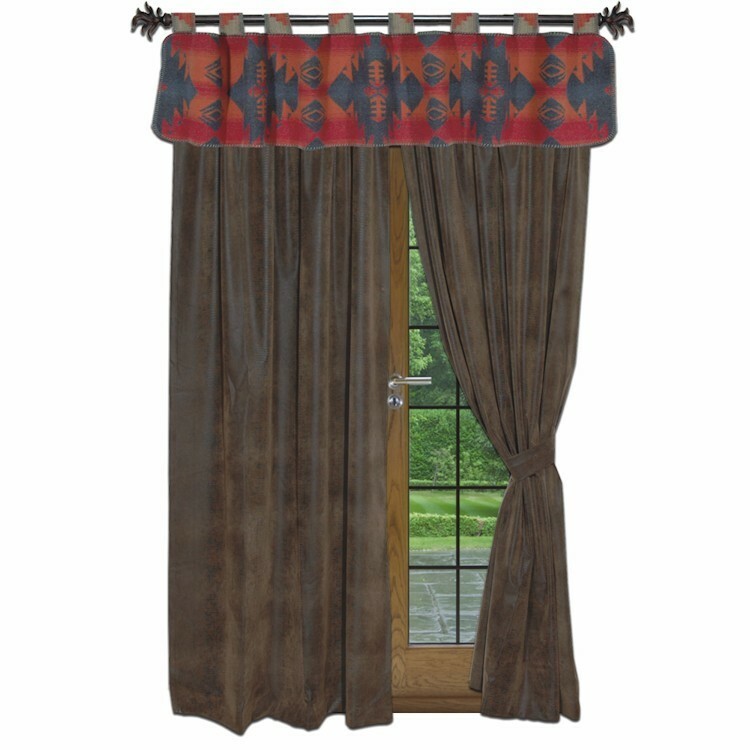 This western style bedding ensemble features a blanket cover with button stitch edging, pillow case style pillow shams made of the same fabric as the blanket cover and a faux Alligator leather tailored bedskirt. Fabric is 45% polyester, 30% acrylic, 20% wool and 5% other fibers. Each deluxe includes the added luxury of three euro shams (two in Alligator faux leather that match the bed skirt and one envelope style combining both the main fabric and faux Alligator leather).